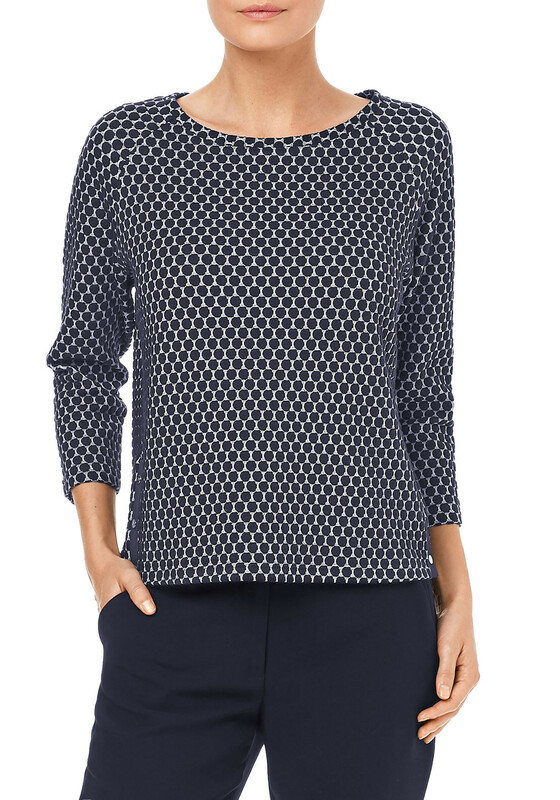 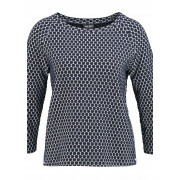 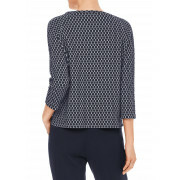 Gerry Weber present this stylish navy top which could be worn with slim fit trousers and pointed toe boots for work. 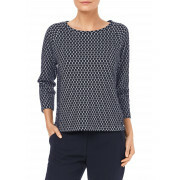 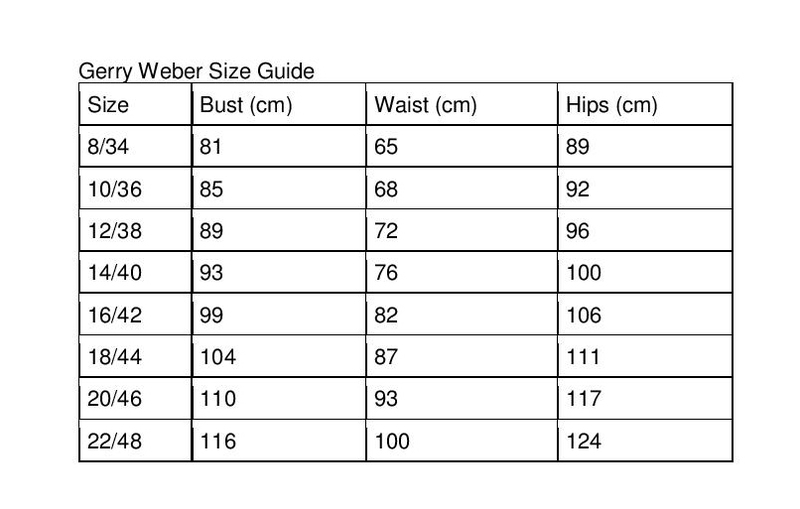 Styled with a slightly relaxed fit and cropped sleeves. 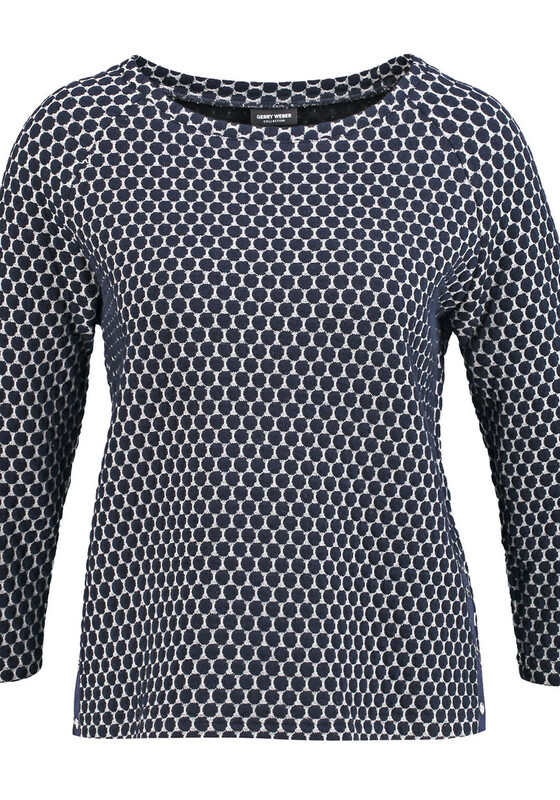 Made from soft cotton blend woven fabric with an embossed circle print throughout. 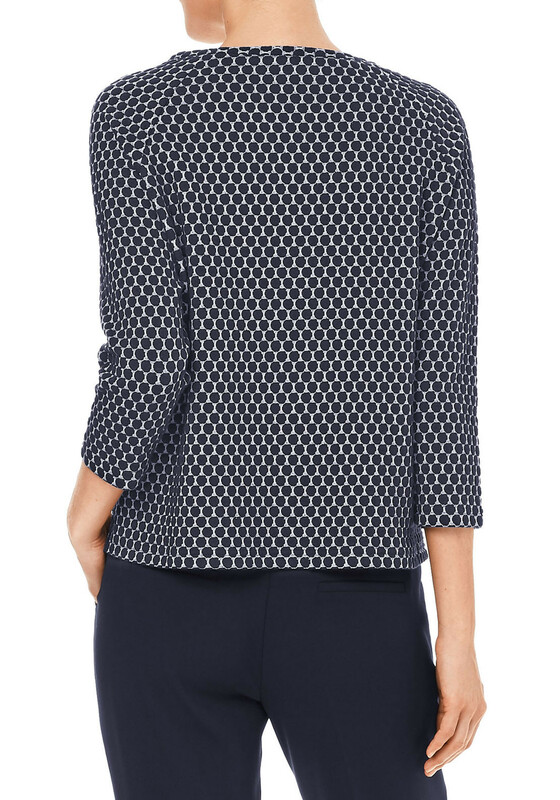 Buttons at the sides completes the look.